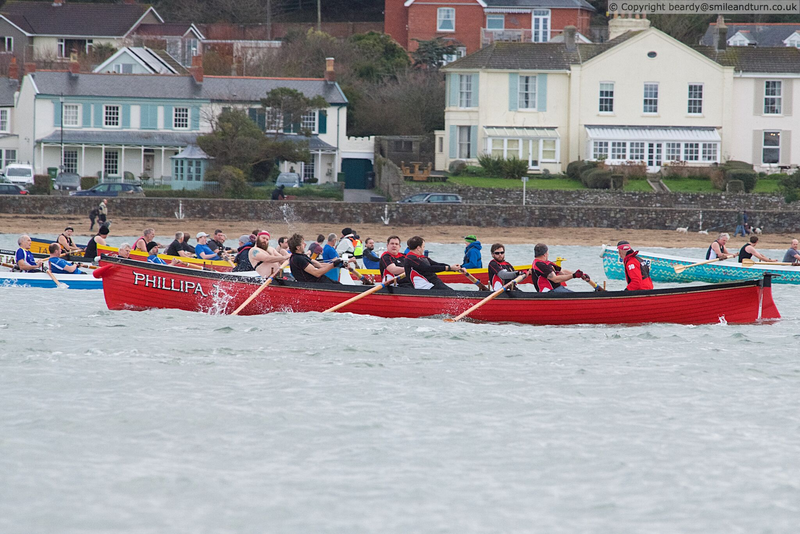 The gig racing season got under way on Saturday 26th February, with ten boats from nine different clubs descending on the Churchfields car park at Appledore during the early hours of the morning. Many rowers travelled a long way for the first gig boat racing regatta in 2019 for the North Coast clubs. Sea conditions were calm with light winds initially, although wind speeds did pick up for the later races. The Ladies B crews set off against a strong incoming tide on the kite shaped course, with Bristol laying down a marker with a comfortable win, setting a trend for the rest of the meeting. The Bristol club went on to win Men's B, Men's A, Ladies Vets and Men's Vets. 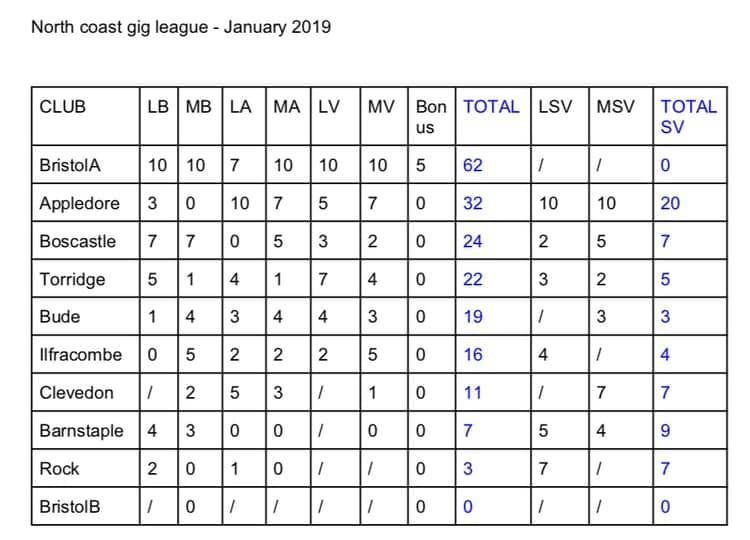 Only Appledore were able to break Bristol's dominance with a first place in the Ladies A race and second places in the Men's A and Men's Vets races. The Super Vet races in contrast were dominated by Appledore with first places in both Mens and Ladies, and Bristol had no Super Vet crews to enter.